Dig into the lives of lions with Ranger Rick in this beginning reader with full-color photos of lions in the wild! What if you wished you were a lion? And then you became one? Could you eat like a lion? Sleep like a lion? Live in a lion family? And would you want to? Find out! Ranger Rick explorers can learn all about lions in this reader full of fascinating facts, vivid wildlife photographs, a Wild Words glossary, and a hands-on activity about practicing your lion-quick reflexes! 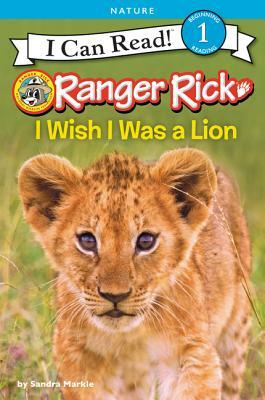 Ranger Rick: I Wish I Was a Lion is a Level One I Can Read, which means it’s perfect for children learning to sound out words and sentences.